Aged garlic shows promising effects on reducing elevated coronary calcium scores while also acting as a gut-friendly antimicrobial. The problem with this cardiology dogma is the cholesterol theory of atherosclerotic disease has been falsified by many studies which are summarized nicely by Dr. William R Ware from the University of Ontario. Dr. Ware's fine article in Medical Hypotheses 2009, reveals there is no correlation between serum cholesterol and the amount of atherosclerotic plaque when reviewing either autopsy studies or coronary calcium score studies. (9) Thus, the theory that elevated cholesterol causes atherosclerotic plaque is essentially falsified. Two randomized trials using statin drugs to reduce calcium scores showed disappointing results. (10,11) Above Image CAT scan showing calcified coronary artery (yellow arrow). As we can see from the above studies, statin drugs are quite effective for lowering cholesterol, yet fail to reduce or slow progression of calcium score. Again, this provides even more evidence falsifying the cholesterol theory of atherosclerotic heart disease. Perhaps we should look elsewhere for a treatment modality in the patient with elevated calcium score. Left image courtesy of Matthew J Budoff MD and OCWeekly Magazine. In the first study published in 2006 Journal of Nutrition, twenty three "high risk" patients maintained on a stable dose of statin drug and aspirin were randomized to either placebo or 4 mL of Aged Garlic (1200 mg KYOLIC Aged Garlic Liquid) After one year of treatment, the Aged Garlic group showed a 7.5 % progression of calcium score, considerably lower than the 22.2% progression in the placebo group. (1) Remember that both groups were maintained on statin drugs during the one year study. Above Image: Fig 2 showing Aged Garlic Group left and placebo right. Aged Garlic Group(left bars) shows lower progression of calcium score (blue bar), reduction in IgG IgM MDA LDL, IC/apoB oxidative bio-markers and reduction in Homocysteine (red bar) compared to placebo (right). Courtesy of Aged garlic extract retards progression of atherosclerosis Budoff Preventive medicine 2009 . After one year of treatment the aged Garlic group showed less progression of calcium score (32 vs. 58 absolute) and (18.9% vs 27.4%). CRP was also lower in the Garlic group. See Above Image :Table One courtesy Budoff 2012 (3). My previous article discussed the failure of the cholesterol hypothesis, and recent revelations about atherosclerotic plaque as infected biofilm, and the association with increased gut permeability, also called "Leaky Gut". This would certainly explain our somewhat paradoxical findings in the three studies by Dr Matthew Budoff showing Garlic more effective than statin drugs. A natural antimicrobial agent, the lowly Garlic bulb, shows ability to retard progression of calcium score while the high and mighty statin drug fails, even though cholesterol is reduced. Others have found diverse colonies of bacterial, fungal and protozoal life-forms colonizing biofilms in atherosclerotic plaque specimens (18-20), In view of this, investigating other botanical agents with known antimicrobial activity might also be useful, such as Olive Leaf extract, Oregano Oil, Berberine, etc. Perhaps a combination of such natural products would have a more powerful synergistic effect. Other natural anti-microbials such as colloidal silver, and Iodine should be considered as well. This would be a fertile area for future research. Eliminate NSAIDS, PPI's which cause dysbiosis and leaky gut. Budoff, M. J., et al. "Aged garlic extract supplemented with B vitamins, folic acid and L-arginine retards the progression of subclinical atherosclerosis: a randomized clinical trial." Preventive medicine 49.2-3 (2009): 101. Zeb, Irfan, Budoff M et al. 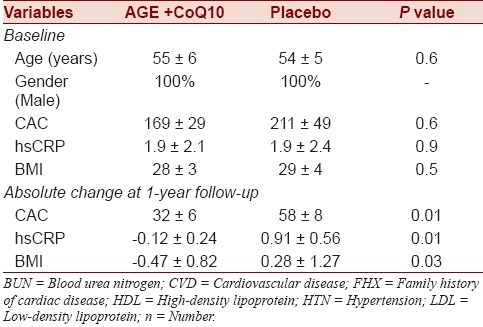 "Aged Garlic Extract and Coenzyme Q10 Have Favorable Effect on Inflammatory Markers and Coronary Atherosclerosis Progression: A Randomized Clinical Trial." Journal of Cardiovascular Disease Research 3.3 (2012): 185–190. PMC. Web. 11 June 2015. Bayan, Leyla, Peir Hossain Koulivand, and Ali Gorji. "Garlic: A Review of Potential Therapeutic Effects." Avicenna Journal of Phytomedicine 4.1 (2014): 1–14. Print. Filocamo, Angela, et al. "Effect of garlic powder on the growth of commensal bacteria from the gastrointestinal tract." Phytomedicine 19.8 (2012): 707-711. Packia Lekshmi, N. C. J., et al. "Antimicrobial Spectrum of Allium Species–A Review." History 15.44 (2015): 1-5. 8) pdf vascular protective supplements anti_atherosclerotic Slevin Mark Vasc Cell 2012 . Slevin, Mark, et al. "Unique vascular protective properties of natural products: supplements or future main-line drugs with significant anti-atherosclerotic potential." Vasc Cell 4.1 (2012): 9. 9) cholesterol atherosclerosis falsified coronary artery plaque Ware Medical Hypotheses 2009 Ware, William R. "The mainstream hypothesis that LDL cholesterol drives atherosclerosis may have been falsified by non-invasive imaging of coronary artery plaque burden and progression." Medical hypotheses 73.4 (2009): 596-600. 10) Houslay, E S et al. "Progressive Coronary Calcification despite Intensive Lipid‐lowering Treatment:A Randomised Controlled Trial." Heart 92.9 (2006): 1207–1212. PMC. Web. 11 June 2015. 11) Schmermund, Axel, et al. "Effect of Intensive Versus Standard Lipid-Lowering Treatment With Atorvastatin on the Progression of Calcified Coronary Atherosclerosis Over 12 Months A Multicenter, Randomized, Double-Blind Trial." Circulation 113.3 (2006): 427-437. 12) Kumar, Rahat et al. "Antihyperglycemic, Antihyperlipidemic, Anti-Inflammatory and Adenosine Deaminase– Lowering Effects of Garlic in Patients with Type 2 Diabetes Mellitus with Obesity." Diabetes, Metabolic Syndrome and Obesity: Targets and Therapy 6 (2013): 49–56. PMC. Web. 12 June 2015. 13) Xiong, X. J., et al. "Garlic for hypertension: A systematic review and meta-analysis of randomized controlled trials." Phytomedicine 22.3 (2015): 352-361. 14) Lanter, Bernard B., Karin Sauer, and David G. Davies. "Bacteria present in carotid arterial plaques are found as biofilm deposits which may contribute to enhanced risk of plaque rupture." MBio 5.3 (2014): e01206-14. 15) Harjai, K., R. Kumar, and S. Singh. "Garlic blocks quorum sensing and attenuates the virulence of Pseudomonas aeruginosa." FEMS immunology and medical microbiology 58.2 (2010): 161. 16) Bjarnsholt, Thomas, and Michael Givskov. "The role of quorum sensing in the pathogenicity of the cunning aggressor Pseudomonas aeruginosa." Analytical and bioanalytical chemistry 387.2 (2007): 409-414. Lihua, Lin, et al. "Effects of allicin on the formation of Pseudomonas aeruginosabiofinm and the production of quorum-sensing controlled virulence factors." Pol J Microbiol 62 (2013): 243-51. 18) Ott, Stephan J., et al. "Detection of diverse bacterial signatures in atherosclerotic lesions of patients with coronary heart disease." Circulation 113.7 (2006): 929-937. 19) Ott, S. J., et al. "Fungal rDNA signatures in coronary atherosclerotic_Ott_2007_Athrosclerosis Fungal rDNA signatures in coronary atherosclerotic plaques." Environmental microbiology 9.12 (2007): 3035-3045.